Moore Field School and the Mystery is the start of an exciting children’s series featuring Samantha, whose parents teach at her school, Moore Field School in Manchester, England. Her best friend is Jessica. But Moore Field School is about to close down. At the last minute, the headmistress, Miss Moore, moves the school to Lakeview, a place she has always liked. Just what is the mystery at Moore Field School? Before the first term starts at Lakeview, the students go to a fun camp where they hear about a local haunted house. Meanwhile, some scary men are searching for long-lost trophies that they will do anything to find. They even search Miss Moore’s office for clues to where the trophies could be hidden. What is happening with the trophies and how is Moore Field School involved? Samantha has gone to Moore Field School for most of her life, along with her best friend Jessica. Her parents even work at the school. But unfortunately, Moore Field School is closing its down. In a last imnute call, Miss Moore, the headmistress, relocates the school to Lakeview. Its a town nearby, so the students don’t have to move, and because of the lease of the previous building coming to an end, it seems like a good choice. Before starting the new term at Lakeview, Miss Moore organized a summer camp for all the students, to get used to the new environment and to make new friends. Unfortunately, during camp, one of Samantha’s friends gets kidnapped. She, Jessica, and a few other friends have to find out what’s going on. Some mysterious burglars seem out to find long-lost trophies, and they may be involved in the kidnapping. On top of that, a local house is supposedly haunted, and the burglars aren’t the only ones after the trophies. 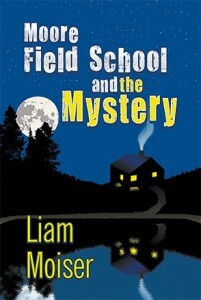 Moore Field School and the Mystery was a fun read. The characters acted a little young for middle graders, so I’d say this was more for a lower grade audience. The mystery was definitely surprising. When I thought it was going to go one direction, it quickly changed into another direction. Some things seemed pretty random at first, but then started to make sense as the book progressed. I liked Samantha and Jessica, and their friendship was entertaining as well. They had a lot of inside jokes that made them seem like real people, instead of characters in a book. All in all, a good read for children and tweens looking for a fun mystery.